This set has been at the top of the build pile since before I got the bulk sorting lot, and I was itching to build it. It’s finally built, and it was highly enjoyable! 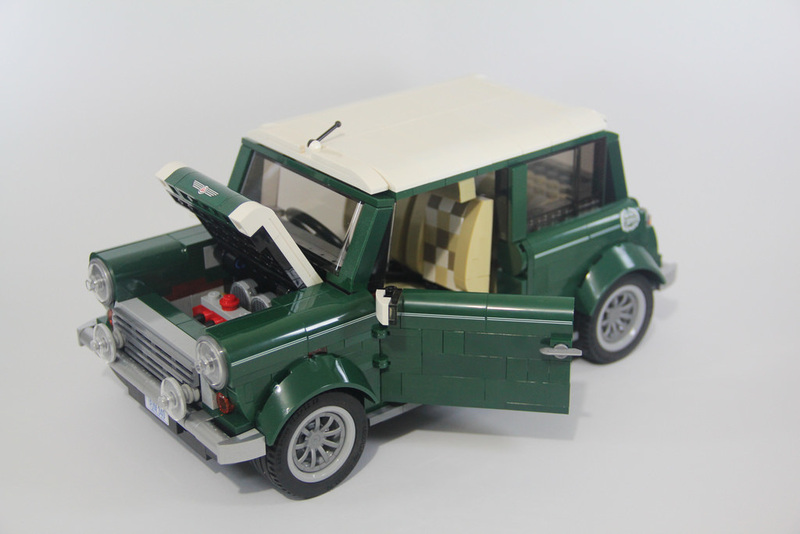 The Mini Cooper Mk VII was the last of the two door Minis, released in 1996. 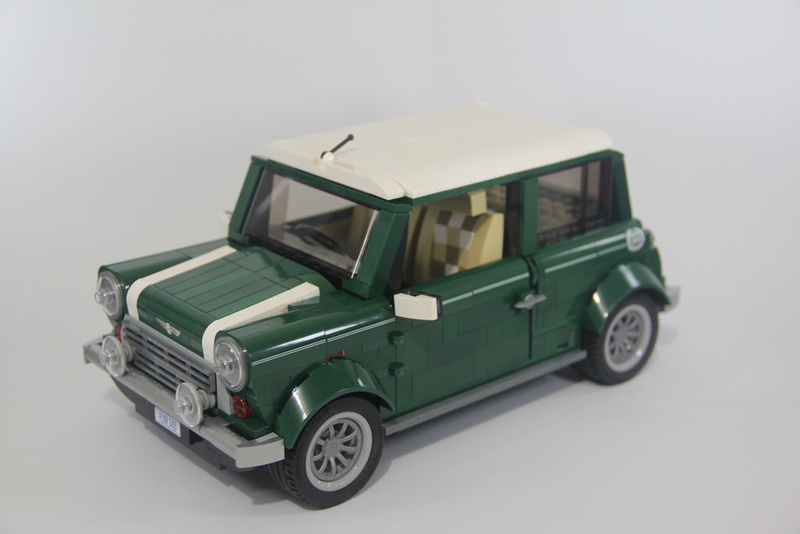 I’ve never actually been in a Mini, but I would love to now that I’ve built this one! Just like last week’s review of the Sopwith Camel, this set brings in a lot of new elements in earth green. 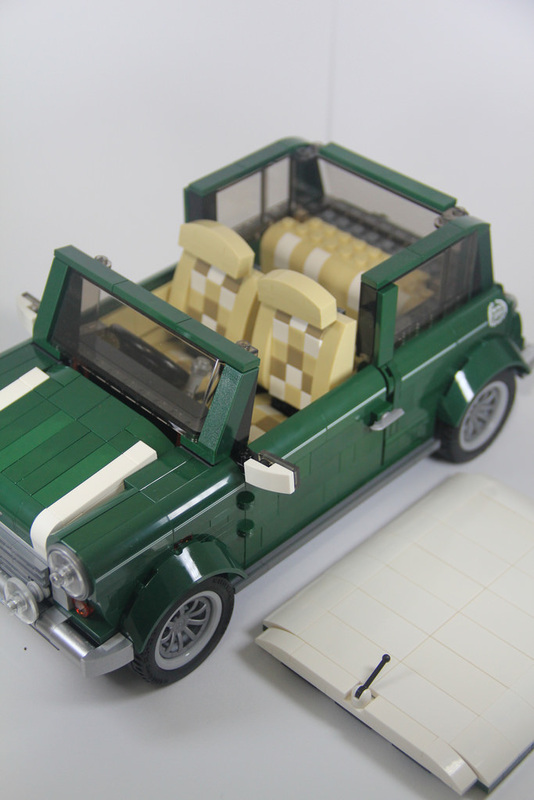 There’s 1x4x1 bricks with bows, 1×4 SNOT bricks, 1x2x3 roof tiles, wheel arches, and more. There’s also a nice textile square, for the picnic blanket. This has never been seen in a set before, and it’s a very welcome addition. The two large 3x10x3 windscreens are very nice, and there’s also some surprising elements. 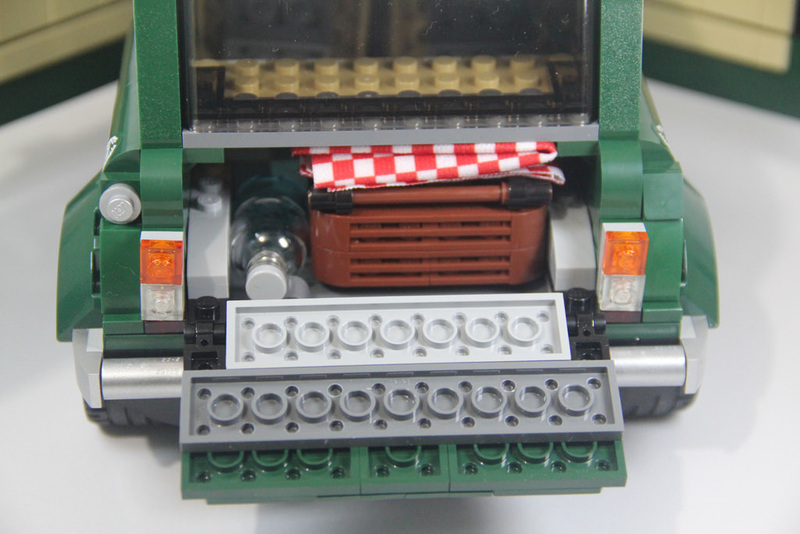 Metallic shields that are used in the lights, minifigure skates as door handles, and of course the picnic items. This set also comes with a few stickers. Many of the parts are printed, such as the 1x4x1 bowed bricks, but building this set still involves you placing a sticker on top of a printed part. That was something I was not expecting! It’s not many though, and it does add a good amount of detail. 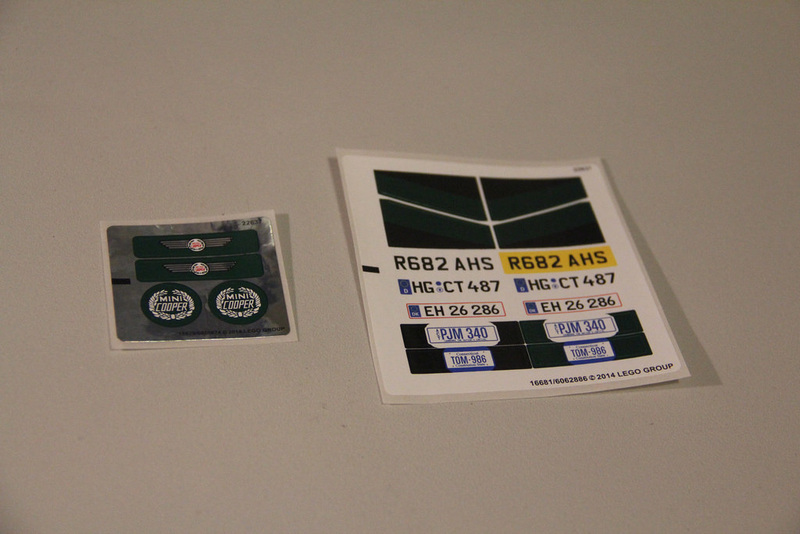 As an added bonus, there are different styles of number plates, with an Australian, US, Danish, UK, and German one to choose from. It’s extremely clever, and will prove very popular among fans. There’s a fair amount of movement to this set. 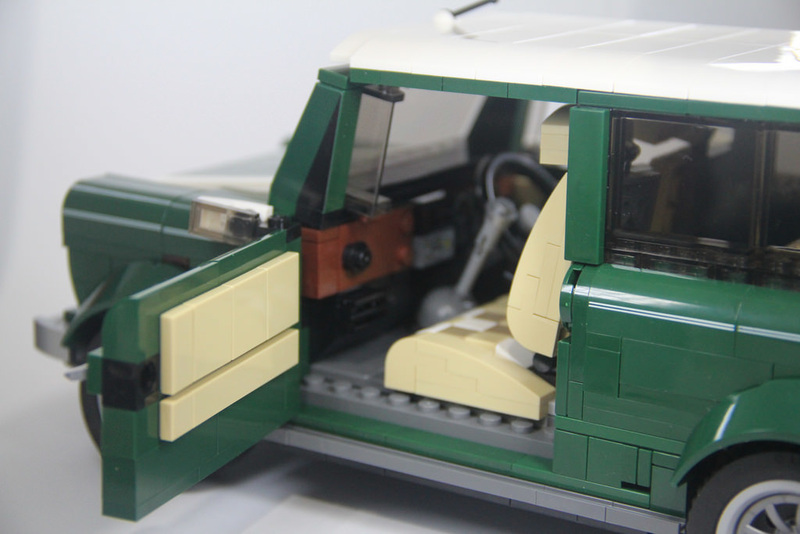 With openable doors, bonnet, and boot, a removable roof, and adjustable chairs, it’s a pretty great way to check out the beautifully detailed interior of the vehicle. Inside the boot you’ll find a packed lunch, with a picnic basket full of bread, cheese and glasses, a water bottle, and the picnic rug I mentioned before. It’s a fantastic little addition. Underneath this is a little hatch that contains a spare wheel. It’s all nicely hidden away. There’s no steering, but that’s fine. There’s plenty of other awesome things to do. The build process is really interesting, with not much repetition. The chassis is built first, and then working the way up the body. It’s quite fun, and interesting to see how they’ve decided to do a few things, such as how the doors fit nicely, as it’s missing a plate’s thickness. I also love the bumpers. They’re so simple, and yet so clean. The pinstriping too, is very neat. The only downside of the build that I experienced was the seats. Whenever there’s 1×1 tiling to be done, I’m never happy with it. It’s always crooked! 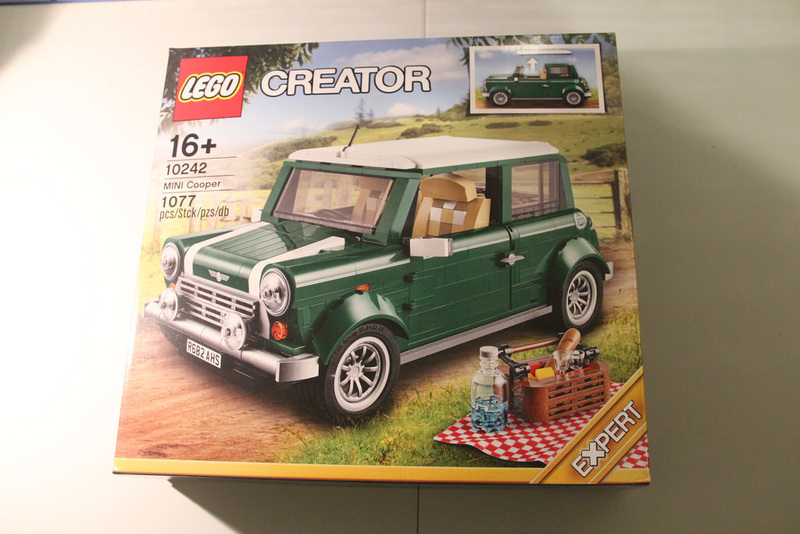 One of the things that people have said the most with this set, is that it doesn’t look like LEGO, because there’s no visible studs on the bodywork. In my opinion, this is a huge compliment to the set, and they’re right. It’s stunning as a studless set. It matches to near perfection with the real thing, and the detailing on this version is exquisite. it’s really a beautiful set. ​There are a couple of little nitpicky bits, and they are with the stickers on the frames of the windows. The black parts indicate that they shouldn’t be there, but the upright had to be made from something, so that’s what they’ve come up with. It’s a shame, but also not very noticeable. This set is still available from the LEGO Shop Online, so get in while you still can. For $149.99, it’s a pretty good deal in my opinion. With some great elements, and a beautiful display piece at the end, it’s well worth the cash. The 14 stud wide vehicles are exceptionally collectible, and with 10252: Volkswagen Beetle coming out on August 1, it’s going to make it even more so. There’s been a few of them over the years, with the first one dating back to 1986, with 5540: Formula 1 Racer. 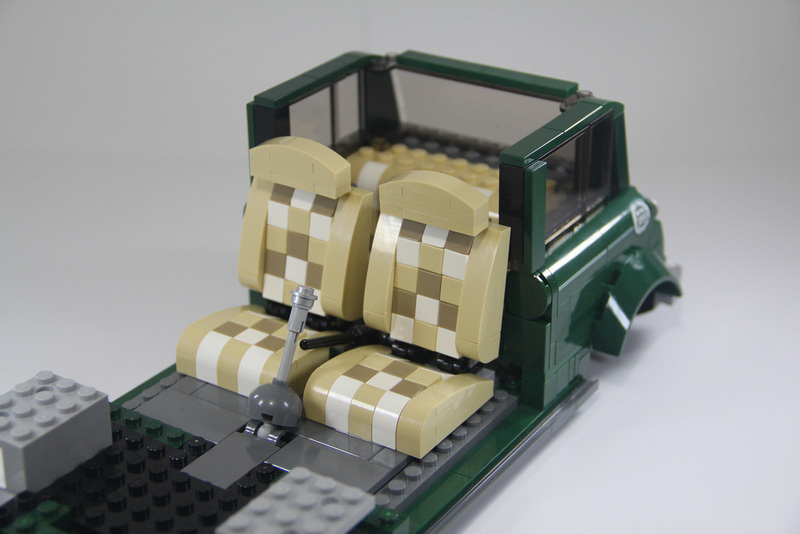 These are great to have on a shelf, and will catch the eyes of both LEGO and car fans alike. Next week I’m heading back into the Pirates sets from 2015, with 70410: Soldiers Outpost. There’s treasure ahead! This was the first Creator Expert vehicle I built and I really enjoyed building it. My children like to call it “Mr. 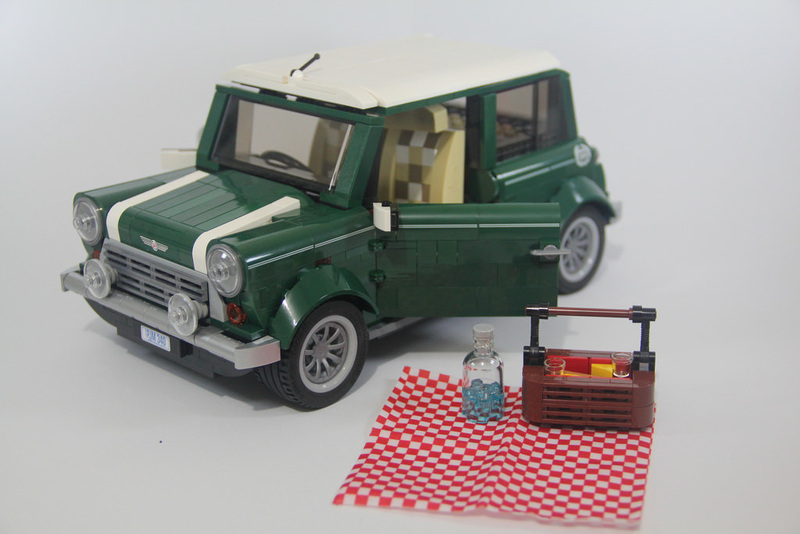 Bean’s car” even though his Mini Cooper was not a Mk VII model and the colour is different. I like that the bumper is silver-metallic coloured, which is something I find lacking in the new VW Beetle where the bumper is plain grey instead of silver-metallic. I agree. It’s the little details that make a set all that more memorable. It’d be great if we could get a version of Mr Bean’s car, complete with the lounge chair on the roof! I’ve seen it in a MOC before, but not to this scale.